Exam action planning – Mr Hulme has been working with S3 on learning and revision and has issued the class with notes on this to help in their studies. Find out more here and access resources to assist your child with study. Homework Policy – The revised homework policy is available on the school website. This includes details of expectations and provides support and advice for parents, based on current educational research, to help their children. Click here to access the policy and other support documents. 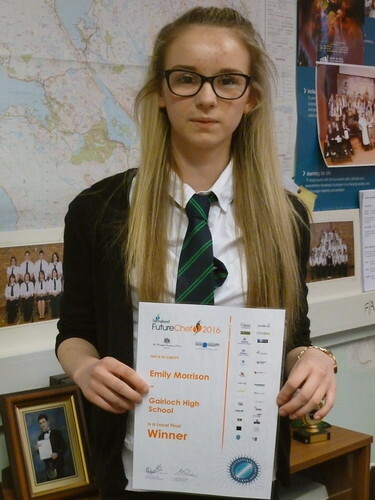 Futurechef Success – S3 pupil Emily Morrison is progressing through the finals of FutureChef 2016. Read about it here and see some photos. 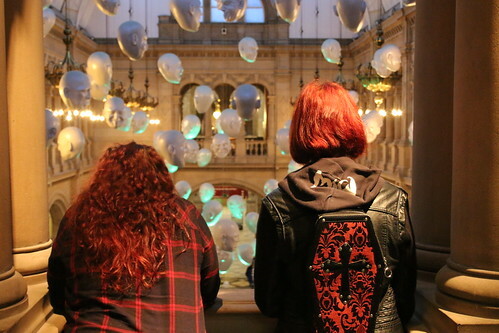 Senior Art Trip – From the 14th-16th December a group of Higher and National 5 pupils were taken to Glasgow to see an Advanced Higher Exhibition organised by the SQA at Scotland Street School. In addition, pupils saw the Turner Prize Exhibition at Tramway and visited Kelvingrove Art Gallery and Museum and Glasgow School of Art. In our free time we were given the chance to see the Christmas lights and enjoy the fair at George Square. We also visited the Christmas market at St Enoch Square. 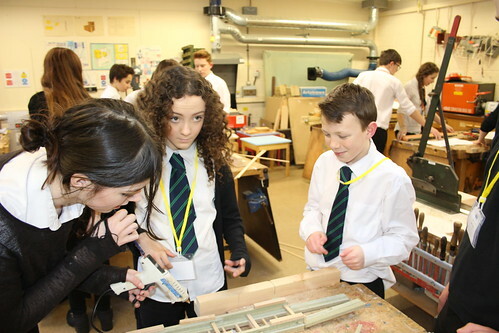 Build a Bridge Competition CITB – On Thursday 14th January our S2 class had a visit from Billy Skinner of CITB Alba Scotland. He came to do a class competition where we had to build bridges. CITB is an organisation, which takes on young apprentices and encourages STEM activities. Important Dates – Check out the website here or phone the school if you require information about events. Erratum – Jordan Gorman, after a stiff selection process, was invited to join the Under 18 Scottish Basketball Squad and not the badminton squad as incorrectly reported in last issue of the Gairloch and District Times. 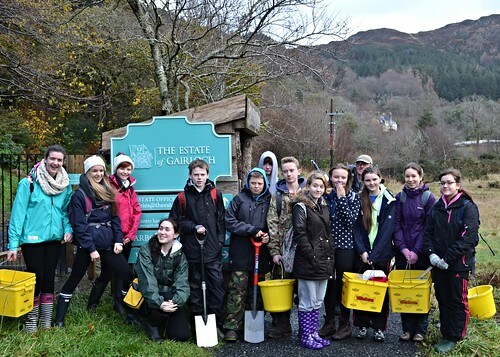 The staff of Gairloch High School wish all our pupils, parents and other members of the community a good New Year and a successful 2016. 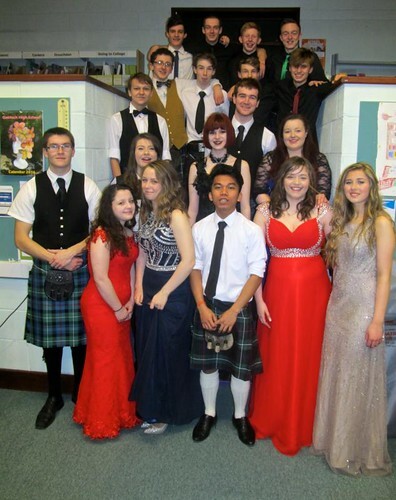 Christmas Dance – Thanks go to everyone who helped make this great occasion possible – the list is long but the pupils appreciate it. Prior to the dance Mrs Hildrey and other staff help teach and reinforce dance moves allowing S1 to S6 pupils to participate comfortably with reels, waltzes and jigs. This year the dance began with an extended performance by the Pipe Band. Our musicians for the evening were delayed by the heavy rainfall but threw themselves into the music making quickly after setting up. Two of the musicians, Katie MacDonald and Christian Gamauf, were involved last year with Charlie Grey and Megan MacDonald joining them on this occasion. We are also very grateful for the continued support of the Westerbus for assisting with transport to and from the dance, along with additional minibus driving, once again by Mr Bowker. Thanks must go to Mrs Anne Fraser for organising her team of staff volunteers to produce all the food for the interval buffet. Mrs Janet MacLennan made all the table decorations for this and her skills were much appreciated by all. Finally it is worth mentioning that it is the pupils’ participation and enthusiasm that make this such an event and worthy of the effort put in by so many. Photographs of this event can be viewed on the school website by clicking on the image above. Krypton Factor, Indoor Rowing & School Quiz – We like to end the term with a variety of activities that are important educationally yet encourage a sense of community and challenge. Thanks to Mr. Hulme and Dr Caley the school quiz provided a challenge that all pupils can take part in. Pupils are mixed into teams and compete for House points. This year Maree won the quiz overall although the top team was from Kerry. All involved, including those on the two staff teams had a lot of fun trying to answer a diverse set of questions. 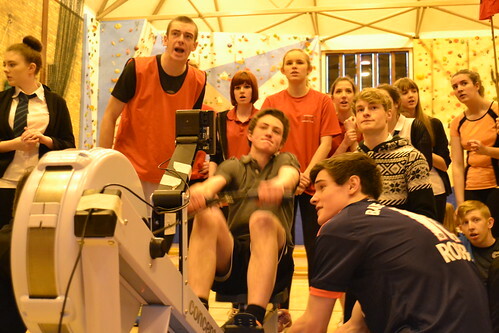 The pupils also took part in an Inter-House indoor rowing competition organised by Mrs Johnston and her Activity Tourism pupils. Maree also won this competition. In an exciting final race the senior Kerry boys prevented Maree from a clean sweep of the races this year. On the last day of school before the Christmas Holidays all the pupils took part in a Krypton Factor. Five activities organized to test physical and mental skills. Points are awarded to House teams and tallied. Maree won this year as well! Thanks to Mrs Macrae and her staff team for organising and supporting this fun event. Maths Competition UK & Highland – Before Christmas each of S1A, S1B, S2A and S2B classes were entered into an online mathematics competition for the Highlands. Read about their considerable success by clicking on the image below. 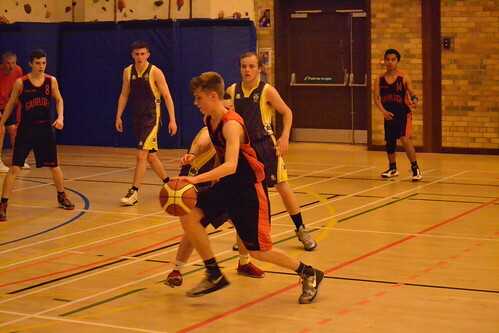 Basketball Success – We are glad to hear that Jordan Gorman, after a stiff selection process, has been invited to join the Under 18 Scottish Basketball Squad. Well-done Jordan! Important Dates – Check out the website or phone the school if you require information about events.